The Warwickshire Basketball Hall of Fame was conceived and created in 2008 by the Executive Committee of the Area, to honour the people who had given many hours of their personal time to the promotion of basketball in the community. The first to be included was the founder Chairman Paul Drane whose idea it was in 1971, to set up a separate Area after being affiliated to the West Midlands Area for several years. Paul, and the Committee created the Warwickshire Basketball Association, and their independence was granted in October of that year. Other members of that and the Area’s subsequent Committees include three men who were also included in the first Hall of Fame, John Mumford, Paul Farndon and Mike Maddox. Warwickshire Basketball owes a lot to this quartet, who, along with numerous others have helped to steer basketball through the 70’s 80’s 90’s, and into the 21st century, giving new members the platform on which to develop and grow the game for the new generation of young players and officials. 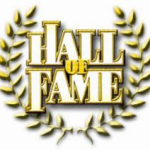 Warwickshire Basketball is proud to have launched The Hall of Fame and to be able to recognise and applaud the contribution of these and other members in the future. It was at Leicester College of Art in 1951 that a young Paul took to the court, when he turned out for the Pharmacy Team, and after his National Service, he started a league in Coventry playing for The Jesters. This was 1958, and he and several other pharmacists along with a few Latvians against some local school teams – Exhall and Bedworth. They formed the Coventry & District League in 1963 which began to thrive under Paul’s leadership. By 1971 the Committee left the West Midlands Area and set up the Warwickshire Basketball League with Paul as Chairman. He continued in this role until being made President in 1978, a position he held until 1983. Then, a move to Canterbury brought to an end Paul’s involvement in local basketball, leaving the Area in 1997. Paul’s other sporting love affair is with tennis and he has played at Wimbledon in the veterans’ Tournament. Having been ranked number 1 in the UK Over 75 age group he unfortunately had to give up playing tennis but instead took up bowls instead. The all round sportsman and the instigator of Warwickshire Basketball Paul Drane was the First Warwickshire Basketball Hall of Famer. Warwickshire Basketball first came across John Mumford in a small gym at Aylesford School in Warwick. He was a little left hander who seemed more than capable of scoring a few baskets – and had the knack of shooting from the side of the gym where there were no beams hung from the roof. 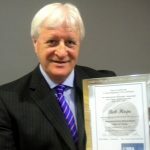 John and a few friends had formed Aylesford Basketball Club in 1968, and whilst most of this group has moved on, he has remained at the helm and is still the driving force behind the Club’s success, achieving the 3 Star Accrediation. Performing every role in the Club since 1968 John was a stalwart of Warwickshire Basketball – joining the Committee in 1976. He held the roles of League secretary, Competitions Secretary, Development Officer, Secretary and Chairman, before leaving the Committee in 2001. Since 1988 when the Aylesford Basketball Club’s Junior Development Programme was created, he was almost single-handedly the co-ordinator and Head Coach, producing highly talented players and fine young men who have gone on to enjoy the rest of their careers and their lives in a much better state than when he first met them. He was presented with The John Sage Coaching Award in 1996 for services to basketball, and in 2005 was nominated for a Lifetime Achievement Award by Greater Warwickshire Sport. In 1968 Mike began playing basketball for Coventry Jesters and within a year was elected as Publicity Officer onto the Committee of The Coventry & District League. In the early seventies, Mike, helped to create The Warwickshire Basketball League after they were granted independence for The West Midlands. 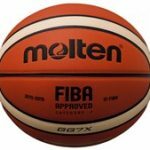 He was one of those who formed the highly-acclaimed Granwood, who became Team Fiat, and later The Birmingham Bullets Basketball Club -National League Champions in 1981. 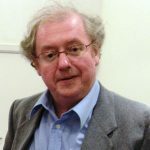 He produced the match-day programme for the Club and commentated on the home games, working for local radio and National Television on many occasions. 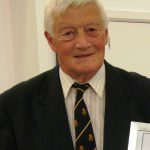 He left the Club in 1984, having been Chairman for eight years to concentrate on his business and to play and referee, and in 1987 accepted the position of Warwickshire Area President. 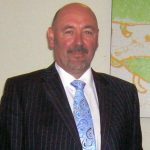 Having sold the family business, Mike retired in 1997 and in 1999 stood down from the Presidency and became Area Chairman, later taking full management control of the League and refereeing allocation. Producing The Bear Facts – a weekly bulletin detailing fixtures, results and news from the basketball world is a task he has added to the list he undertakes, along with the writing of a weekly report for the Coventry Telegraph. Mike still plays, referees and carries out other duties within his own club Tile Hill Trojans, also playing a key role in the Club’s Walking Basketball section. He was presented with a Lifetime Achievement Award by England Basketball and in 2009, received the Coventry Solihull and Warwickshire Sports Lifetime Achievement Award. 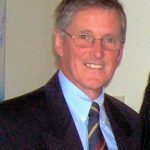 Paul played his first season in the Coventry & District League in 1966, turning out for Old Laurentians in Rugby, and took part in what is believed to be the lowest ever game score in the league – losing to Henley College 14-12. 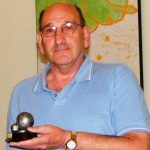 He joined the Committee for the first time in 1967 taking on the role of Fixture Secretary, and became a member of Coventry Jesters two years later, taking his Grade 3 (Level 2) refereeing exam with Mike Maddox and a few others. In 1972 he left Jesters, to start a new team in Rugby called The Royals with whom he enjoyed success in various competitions over the next few years. After obtaining his Grade 2 (Level 3) licence in 1979, Paul refereed his first National League game in the Women’s Division 1. He continued to run Royals for many seasons, but eventually retired from playing in 1994 scoring his final basket with a rainbow from the corner! 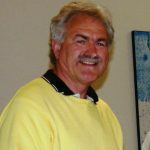 Over forty years or so, Paul was on Committee several times, and held the position of Chairman, Secretary, Technical Secretary and League Secretary for Warwickshire Basketball. He retired to the South coast and plays golf regularly but is still committed to the sport and to our Area. Bob Hope was one of the founders of the Warwickshire Basketball League as a key member of the Coventry & District League Committee when they broke away from the West Midlands Area in 1972. 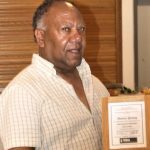 He played a lead role on court, then latterly as a coach, and he instigated the creation of the Area team which won the Inter Area Tournament in the mid seventies. He also secured sponsorship for the team to play as Granwood in the new National League. This was followed by several other business opportunities being created by Bob and culminated in the creation of Team Fiat and then The Birmingham Bullets. With Bob at the helm things prospered and the team won the National League in 1981 along with many other prestigious titles. He became Team Manager to the Great Britain Olympic team and has travelled the world on basketball missions. Bob moved on and set up his own TV promotions company, covering various sports before flying out to Japan and adding to his impressive list of achievements the role of Chairman of Molten Sports UK. He has always maintained his links with Warwickshire and for several years provided Molten match balls to each team in the league. He is currently Marketing Director for the BBL and has led the crusade to get basketball on television from the front. During this time, he was named Coach of the Year by England Basketball in 1994 Mention the name Rob Bromfield, and almost every basketball player who has been to school in the Coventry area will say – ‘I know him – he was my coach’ Rob has spent around 40 years coaching, since at 18 he decided it was better than playing, and he has been a professional coach since 1992. He was an assistant to Bob Mitchell, with Crusader Juniors, then took over the original Coventry Crusaders Junior National League side. 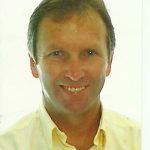 He then worked with Bullets, became assistant at Leicester Riders, and in 1992 became head coach of Coventry Flyers until 1996 renaming them – with Dip Donaldson Coventry Crusaders and was appointed to the England Junior National Team where he went on to coach throughout Europe and in the USA. His first International Cap came in 1993 in the European Championship in Slovakia. 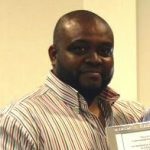 He then set up his coaching business in Coventry and Warwickshire forming Fastbreak Basketball Limited, and he is now focussing on teaching in primary schools and has introduced other social skills into his repertoire. Listing the three people who have influenced his career more than most, Rob cites Bob Laventure, Bob Mitchell and Dip Donaldson – all legends in Warwickshire. It is almost impossible to paint a brief picture of the role Terry played in Warwickshire Basketball, but it includes the start of his playing days after he arrived at Warwick University in 1967. Following that he played for Caludon Lions (now Tile Hill Trojans for whom he once scored 7 successive three-pointers) and he won the Division 1 title with them twice back in the seventies. A founder director of Team Fiat – latterly the Birmingham Bullets, one of his “day to day” roles was the collation of match statistics amongst other management functions with the Club, and towards the end of the millennium, having moved on for The Bullets, he came back to Warwickshire as League secretary. Terry is a supreme member of the Warwickshire Basketball Hall of Fame. 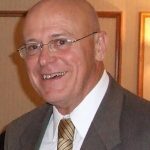 Having started Basketball back in 1979, it has been a long and successful journey for one of Coventry’s most well known players and coaches whose playing days started over thirty years ago when he represented Coventry as a point guard. His national league playing career however, was cut short by injuries, and in the nineties he decided to turn his hand to coaching. In total Roger won total of 11 WBA league titles, 2 as a player and 9 as a coach, including 6 championships in a row – 2 of those title seasons being without a single loss, and he has been All Star coach four times and sponsor. After being a joint owner of Watford and Edmonton Storm, and taking over at Coventry Crusaders, he was Coaching at Leicester Warriors trying to help local players realise their potential and steer them through in the National League at senior level. He continued with his personal Basketball training for players of every level which has proven to be a great success with many of the Country’s top players already receiving great 1 on 1 intense training. In 2016 he was invited to travel round the USA and to be a coach for NBA star George Hill’s camps. He is also arranging for several NBA players to come to the UK to play and run camps in 2018. Niki has been involved with basketball for nearly forty years, working for a variety of clubs and organisations at many levels throughout this time. 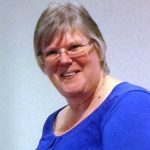 A valued member of the Warwickshire Basketball League Executive Committee, holding the role of Area Secretary, she is a Champion when it comes to work, and this has been demonstrated by the effort she has put in for several clubs and for the Association. She has been almost single-handedly responsible for bringing up the standard of the table officials of Warwickshire, and visited most clubs within the Area on match nights in order to offer advice, instruction and guidance. Niki is responsible for organising and mentoring table officiating courses run by Warwickshire has spent countless hours carrying out this task.In addition, she serves Westwood Rhinos and in her ‘spare’ time, Niki devotes herself to the administration side of Wheelchair Basketball, and is heavily involved with young people’s development in that side of the sport. She helps with weekly training sessions, promotion and integration with the able-bodied game and, of course, she mentors league wheelchair table officials. She is an exceptional lady to work with, full of enthusiasm and commitment, and deserves to be rewarded at the highest level, hence, she became the FIRST LADY in the Warwickshire Basketball Hall of Fame. 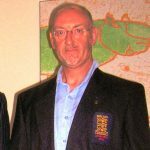 Bob Castledine came onto the Warwickshire Basketball scene in the mid-eighties when Bob Mitchell was coaching a new group at Stoke Park School. He worked hard behind the scenes and doing the things nobody notices – until it is not done! He then moved into coaching with Rob Bromfield before coaching himself in the league at Woodway Nuggets (GAC)His refereeing contribution utilised qualities developed as a football referee and he also became involved with Coventry Crusaders where he was Juniors’ Assistant Coach. Then he served for several years on the Executive Committee of Warwickshire Basketball and later began table officiating for the Ernesford Eagles where he and Maureen became a fixture, offering his services to other clubs in the Area. Bob sadly passed away in 2012 and is missed by all, not only for his contribution to Warwickshire Basketball but his likeable personality and good words for all. In tribute to him, the Division One Handicap Cup has been re-named The Bob Castledine Memorial Trophy, and, posthumously, Bob was inducted into the Warwickshire Basketball Hall of Fame in 2013. 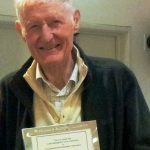 John is one of Warwickshire Basketball’s UNSUNG HEROES and has been around longer than many of our local players’ parents. He started playing basketball in Derby in 1955 and five years later moved to Hartlepool in the North East where he turned out for Billingham Tech. After another career move, this time to Scunthorpe he was recruited by Doncaster Panthers and played in a one game in the early form of The BBL which was televised. He worked overseas for some years but returned to play for Swansea Pirates and managed to get the opposition captain sent off in the first minute. Five years in Spain put him out of British basketball again, but he then spent six years back in Wales at Bridgend where he qualified as a referee. 1980 saw John arrive in Warwickshire and he joined Rugby Royals where he eventually became Club Secretary. He then spent ten years on the Warwickshire Basketball Committee and took the role of Treasurer, Vice Chairman and Chairman in a spell embracing ten years. After a further time spent overseas he returned to Rugby and has been around the town ever since offering his services to the various teams which have sprung up there. John has been an avid supported of basketball and in particular Warwickshire Basketball. He has given many hours of volunteer service to our local league and clubs and is a true ‘Unsung Hero’. Around 40 years ago a young Richard Curtis joined the Aylesford Club after school and he has been a stalwart ever since. He quickly established himself as a player in the first team, turning out for many years in the colours of the Club sponsored by several local businesses such as Black Horse and Seven Stars. His interest and enthusiasm took him into coaching and became Coach to the Aylesford Ladies team back in the day! He qualified as a referee and table official then joined the Warwickshire Basketball Committee. Never one to shirk offering an opinion, Richard is a valued member of Warwickshire Basketball and contributes to all meetings he attends making him a perfect candidate for the Hall of Fame. Trevor, in 2018 is still a force to be reckoned with in Division One at the age of – 54! Being a shy, retiring kind of person we managed to prise out of him that he started playing at Sidney Stringer School with Simon Golding, Austin Grant, George Branch to name but a few, and after leaving school, he turned out for a variety of sides throughout the years, but the power that he demonstrates each time he steps onto the court has had defences trembling for years, with teams who were household names through the decades – like Sidney Stringer, Godiva and Hall of Famer Roger Payne’s Premier Warriors with whom he won the league for six seasons on the trot and nine out of eleven. Since then he has moved to Tile Hill where he helped Trojans to a hat-trick of titles, before having almost an entire season out with injury. In 2017 he has returned to the floor and taken up playing again and coaching the first team, steering them to the top at the first attempt and winning the Championship Shield. So Trevor has won twelve titles in total, numerous cups and played in every All Star game spanning twelve years. He is the first person to be selected to join the Hall of Fame for his PLAYING ability. 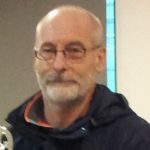 Richard Jones was a PE teacher in and around Birmingham and began playing basketball in the late 1960’s as a way of keeping fit for rugby football. He turned out in the West Midlands League but court time was limited so he realised that he would get more if he took up refereeing, soon achieving Grade 1 or Level 4 refereeing and covered local and National League games on a regular basis, along with BBL matches, Junior International Tournaments and English Schools finals. He was also twice winner of the Bernard Patrick Award for refereeing in the West Midlands. He became a Commissioner and presided over the National Cup finals and NBL Play-offs and frequently assesses officials. 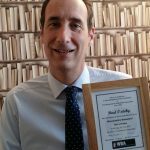 A qualified coach Richard also served on the committee of the West Midlands League as Publicity Officer and has been Chairman of the Solihull Schools Basketball Association. After moving to Knowle he quickly became established as one of our leading officials. His knowledge of the game is immense and his readiness to help other officials with any queries was apparent from the start. We recruited him to run and tutor our referee courses – a task he has carried out for many years with his usual enthusiasm. In tribute to the contribution he has given to Warwickshire Basketball specifically it was the right time to honour him as a member of The Hall of Fame. Paul was born in 1967, he started playing at senior school and passed his table-officiating exam at the age of 12. Having turned out for his school and getting to the semi-finals of the English Championship he joined Nuneaton and played in the Warwickshire Basketball League at 15. He was a member of the Warwickshire under 19 side who won the inter-area cup and for Weathershield in the Junior National League before enjoying success for Coventry. Moving up to the senior ranks, he belonged to Leicester Riders for three years, then Corby Flyers which became Coventry Flyers and ultimately Coventry Crusaders before finishing his top level playing career in Solihull and returning to lead the line for Nuneaton once again. But throughout all this he was developing his career in accountancy and took over a Treasurer of Warwickshire Basketball in 2002. Since then he has been responsible for all matters financial and we were extremely sad to lose him. But with a commitment to basketball and Warwickshire in particular Paul deserves to be included in the Hall of Fame. 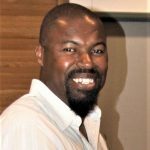 Marcus has, for the past 40 years, been a player, teacher, table-official, referee and coach, influencing 1000’s of youngsters in Warwickshire and in his home city of London. He moved north and attended President Kennedy School in the seventies before going on to further education back in London, where he played in the London League. Lured back to Coventry, he began coaching at Warwick university before joining Crusaders in a coaching role, where he took charge of the various age group teams before heading up the Senior side in a spell lasting 16 years. Locally he formed and ran Woodway Nuggets (latterly GAC) and developed the skills of several players who made it to the National League and even the GB side. Marcus has seen his various teams win countless trophies and IN 2016 his under 16 side reached the quarter-finals of the English Schools competition. He feels that he is still developing his coaching skills and loves nothing more than seeing his young players come through the ranks after being mentored by him and his fellow seniors.